The Empire DVCP32BP30N Tahoe Direct Vent Fireplace brings dreamy traditional style to any room. 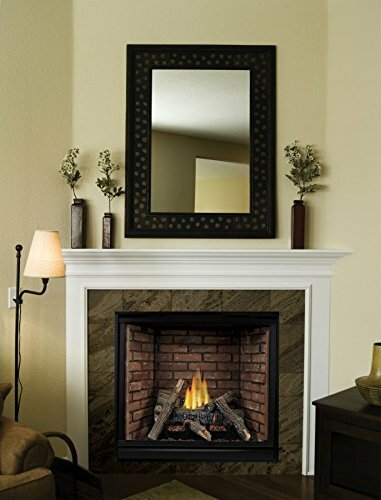 Users will enjoy the many deluxe features of this clean-face fireplace. Look through tempered glass to see the aged-brick liner. The burner creates lifelike flame patterns, and buyers can add the coordinating ceramic-fiber log set to create a full wood-burning fireplace effect without the cleanup. When using any direct-vent fireplace, remember to provide a barrier screen that will protect family and pets from touching the hot glass. The 32-inch Empire DVCP32BP30N Tahoe Direct Vent Fireplace can be operated by remote and a 24,000 BTUs heat output. Log set sold separately.